What would you do with a 3D printer? If the people developing these applications have anything to say about it, you might be surprised 6 Ways To Make Use Of A 3D Printer At Home 6 Ways To Make Use Of A 3D Printer At Home Let's say you had a 3D printer set up next to your computer right now, what could you realistically make with it today? Here are some ideas. Read More . There’s a lot of excitement surrounding 3D printers these days, and it isn’t hard to see why. There’s something fundamentally cool about watching a real, physical object leak out of cyberspace through the end of a print head. 3D printers, for the uninitiated, are devices that deposit layers of a material (usually plastic), slowly building a three dimensional object from a data file on a computer. You can print all kinds of things with them, and the cost has been falling rapidly. There are already a number of options 4 Affordable 3D Printers You Can Buy For Your Home 4 Affordable 3D Printers You Can Buy For Your Home Read More available to consumers, and we’ve even reviewed Cubify Cube 3D Printer Review and Giveaway Cubify Cube 3D Printer Review and Giveaway Most affordable 3D printers are sold as self-assembly kits, but the Cubify Cube promises to be plug-and-plug with minimal fuss. Does it live up to that promise? Read More one notable printer in the past. Like 2D printers, 3D printers will probably wind up having their own limitations. For example, for mass-market one-size-fits all items, like silverware, it will probably always be cheaper to exploit mass production than to print it yourself. That said, there are some things that just aren’t cost effective (or in some cases even possible) to manufacture conventionally. In those cases, 3D printing has your back. If you’ve even been a teenager, there’s a good chance you’ve broken at least one bone, probably while doing something stupid. If you remember the experience, you probably remember an intractable, painful, and an incredibly itchy experience. The casts that have been in use for decades take months to set a bone, seal the limb off from light and air, and eventually become so dirty and sweat-soaked that the CDC has to open a case file on them. 3D printing allows doctors, rather than using flexible materials that conform to the user’s body, to use a rigid, non-permeable material to fix the limb in place. Using 3D scans of the user’s arm, the fit can be made perfect. By leaving gaps in the material, the arm gets sun and air, can be washed, and doesn’t get dirty. It also looks pretty cool. What’s even cooler, is that because the material is rigid, you can attach an ultrasonic transducer to it for twenty minutes a day, which accelerates the healing of the break by as much as 80%, meaning that you don’t need to have the cast on for as long, and are less likely re-injure the limb. Dr. Hausman, the designer, said there’s scientific support for the notion. Much to the concern of the ATF and various countries with restrictive gun control laws, it’s been proven recently that it’s possible to 3D print firearms out of ABS plastic (minus the bullets, firing pin, and a single spring). The most famous prototype is called “The Liberator,” and is capable of discharging a clip under real-world conditions. This has profound implications for the enforceability of firearms regulations around the world. On a larger scale, the US army is looking into developing 3D printed warheads, as a way of exercising more precise control over the behavior of explosives, and rapidly prototyping designs. James Zunino, a materials engineer for the US Army, is excited about the possibilities. Once you get into detonation physics, you open up a whole new universe […] The real value you get is you can get more safety, lethality or operational capability from the same space. Researchers have also been making amazing advancements in recent years with prostheses — unfortunately, those advances have largely been very expensive, often out of the reach of the very people they aim to serve, who may be out of work due to their disability. Even relatively simple, mechanical prosthetics often cost tens of thousands of dollars due to their specialized nature and the necessity of customizing them for each user. This is an ideal use-case for 3D printing, and a number of options are already available. Maybe the most famous is the “Cyborg Beast,” available for free download, which provides a natural, five-fingered grip (with one degree of freedom) and can be printed for about $50 in parts. Is it as good as the dexterous “Luke Arm?” No. Is it better than a huge assortment of mid-range prosthetics? Absolutely, for people with the relevant kind of injury. And, as technology progresses, we’ll see better and more diverse options become available for amputees, all for very cheap, thanks to 3D printing. Sometimes you need more than limbs. 79 people receive organ transplants every day, and eighteen people die while on the waiting list. Of the people that do receive transplants, many need another one before the decade is out, due to failure of the immune system to integrate the foreign tissue. In order to reduce this risk, patients have to be on immuno-suppressant drugs for their entire lives, making them much more susceptible to opportunistic infections. The entire situation is a mess, and one that 3D printing may be able to fix. By using 3D printing techniques to lay down structures of collagen (the protein scaffolding that holds your cells together), doctors can make a hollow shell of an organ. That shell can then be seeded with stem cells to make working, living tissue, ready for transplantation. If the stem cells are cloned from the recipient, you can actually populate the organ with their own tissue, eliminating most rejection issues and allowing the organ to be viable for much longer. Kidneys are possible right now (though not perfected or approved for use in humans), and hearts are under development. Other organs, like lungs and livers, are farther out (but not impossible). Eventually, these technologies could be used to entirely resolve the organ shortage, and to open up new kinds of life-extending therapies. Your risk of heart failure spikes after middle age. We could pre-emptively replace everyone’s heart with a younger copy every 40 years, just to be on the safe side. In the case of terminal, massively metastasized cancer, we could improve the patient’s odds by replacing every affected organ system with 3D-printed replicas. An unlimited supply of bio-compatible organs drastically changes the nature of medicine. We have shown that we can print these capillaries, we have shown they are functional, that they mature to form capillaries and that we can tailor make them to the sizes and structures we need.” […] Tissue engineering to make simpler tissues has been a reality for a number of years and through what we have been able to achieve, we can start talking about larger, more complex tissues that are able to survive longer. Organs are pretty hard to build, by the standards of these things: some of them have fine, complicated structures that are hard to 3D print with current technology. Luckily, food producers can use the same technology for something with a much greater tolerance to error. Namely, meat. Meat is great. Yummy, juicy, delicious meat. Unfortunately, it’s also expensive, viewed by many as unethical, and environmentally unfriendly. 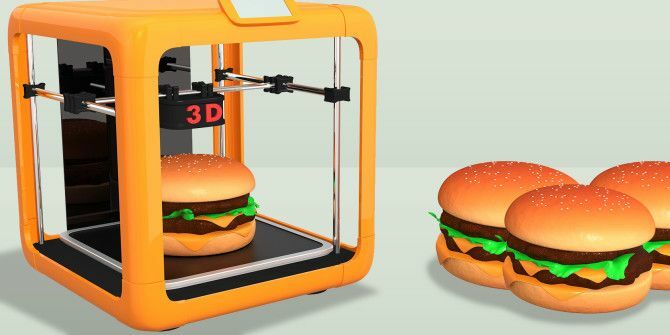 3D printing, using the same techniques described above, might allow manufacturers to 3D print burgers, steaks, and bacon out of collagen, and then seed them with stem cells. The stem cells, fed by plant protein and nutrient syrup, could grow living tissue, with a much smaller resource footprint than traditional livestock, and no animal cruelty. Peter Thiel, a PayPal founder, venture capitalist, and philanthropist has donated $350,000 to a startup called Modern Meadow that’s trying to do just that. One day, 3D-printing could provide meat that’s greener, cheaper, and more ethical. It could become a powerful tool for feeding the world. It also opens up culinary possibilities that would be impossible with traditional agriculture, including mixed meats (steaks veined with bacon for added flavor), and meats from extinct or endangered but delicious animals that can’t normally be cultivated. It’s becoming increasingly clear that 3D printing is going to be a powerful force in future industry, and it’s possible that the most powerful applications haven’t been thought of yet. What are you most excited about when it comes to 3D printing? Do you plan to buy a 3D printer? Let us know in the comments! No, I do not plan to buy one (To far out of my budget) but I can see unlimited possibilities for teachers. 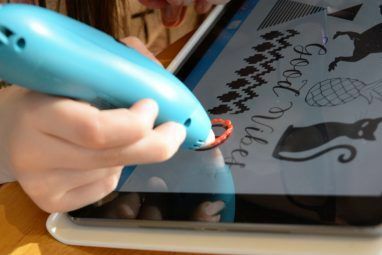 Many children learn via hands on and I think this printer would be fantastic! Superb. Mind blowing. Thank you for this piece. The plastic gun idea is stupid but the printable warhead makes sense for the military. Awesome possibilities and to think how fast technology is growing, the future results will be expanding and appear endless!!! I like the cast idea for the simple facts that you can wash your arm and scratch it. I would love to see the tan lines after someone gets theirs off! Interesting developments with 3d printing. 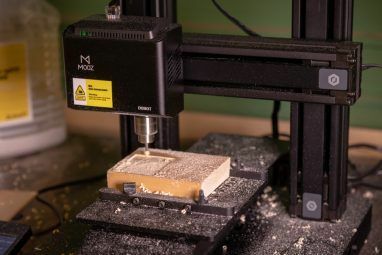 The next thing that needs to be accessible to make 3d printing really take off is the software and 3d scanners needed to provide the "source" for the items to be printed. Current software is either expensive or hard to learn and use - or both. Simple design software designed for the non-engineer needs to be available as open source, or at least at a low price. 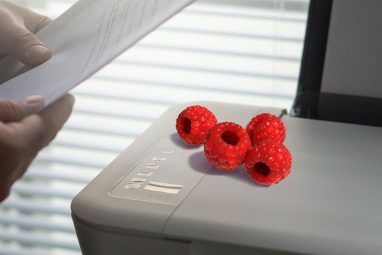 3d scanners that are low cost would also help boost the interest greatly. Imagine being able to scan some object and then produce it in other colors and sizes easily. Also, negative space limitations need to be overcome to expand the items that can be made. For example, creating a hollow cube with a flat top surface can't be done with most, if not all, of the 3d printers available.